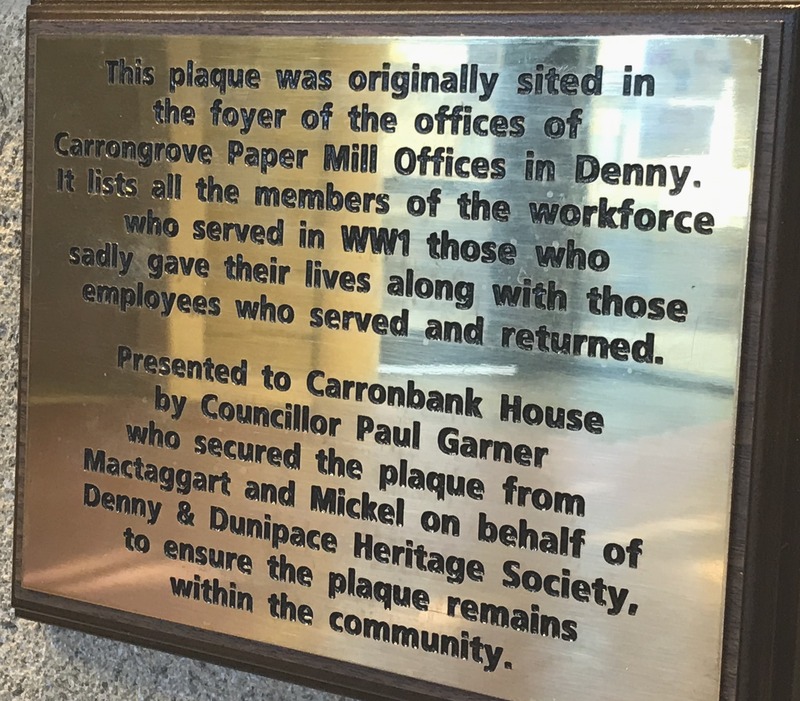 A handsome bronze war memorial commemorating employees of Carrongrove Paper Company who fought in The Great War has been unveiled in its new home at Carronbank House in Denny - with the support of Mactaggart & Mickel. 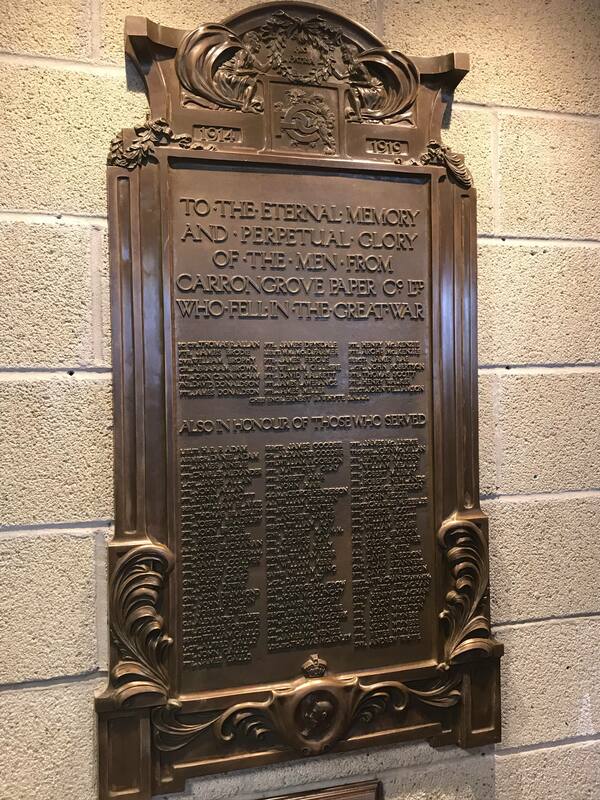 The memorial, which dates from 1920, was originally erected in the entranceway to Carrongrove House in Denny, which at that time served as offices for the paper mill. 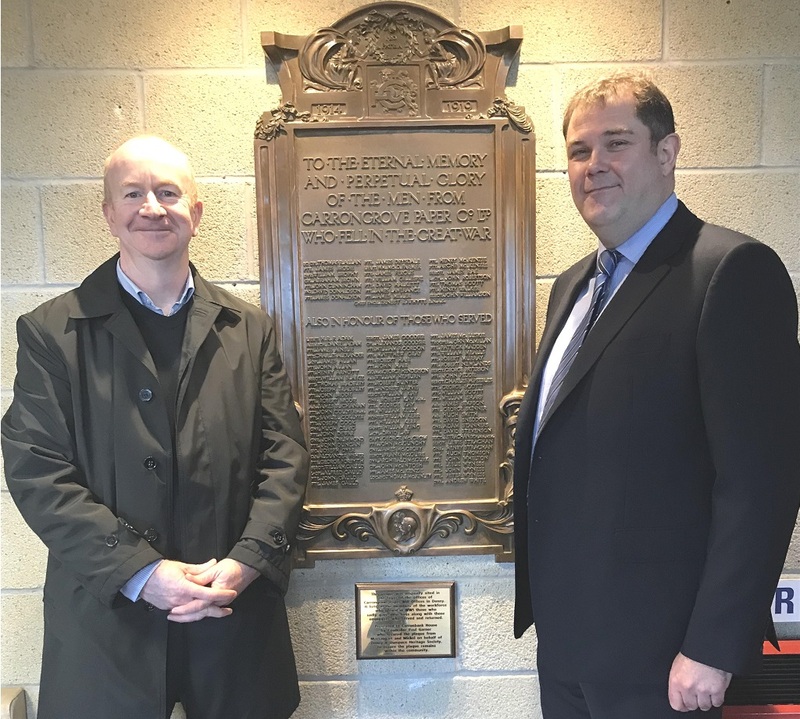 Mactaggart & Mickel hired specialist architects and craftsmen to breathe new life into the historic B-listed mansion house, originally constructed in the 1860s as a home for the owner of Carrongrove Paper Company. Period features have been retained and sympathetically restored or recreated, creating seven beautiful and unique apartments.